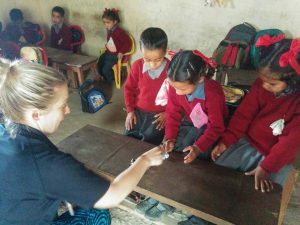 In July 2016, we took 9 kiwi teachers to work hard with our Indian colleagues. The curry and mangoes were great, but even better was seeing the enthusiasm the teachers have for learning and the dedication they have to be teachers of excellence is awesome. It was a privilege to be working in India again. I admire our RATA teachers so much, they give of themselves, their time, their finances and their holidays to selflessly serve and make a difference and still smile when they have no bags arrive and still smile 3 days later when the bags are still not around! This year all I can say is that the work of RATA is yelling loudly in the teachers of India and in the classrooms a huge big YES!!! I am blown away by the progress we have seen especially after 2015. We did our 5 days hard out onsite training, again working with our Indian friends on why they teach and what their personal core purpose for being a teacher is. It was revealing for them as to what motivates them. 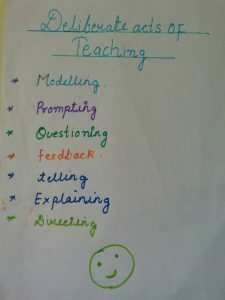 Then we worked on what they teach, how they teach it and they loved the 7 Intentional Acts of Teaching. Nearly all the teachers are using learning intentions, most have interactive activities and this year we added success criteria. They have cracked it, they get it and it is so encouraging. The language, ideas and teaching from the past years is sticking and being well implemented and they love it! We split into three groups and headed into the schools. 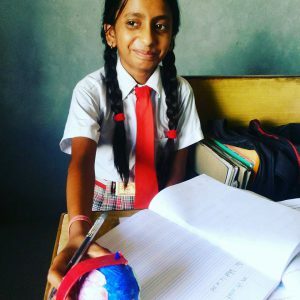 These schools are by slums, schools in rural subsistence locations and the school onsite. Nothing could have made us prouder. It was stunning- the difference is huge. 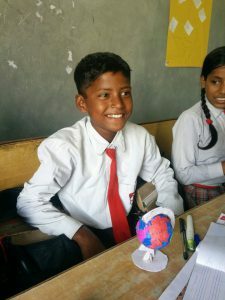 The teachers know what they are teaching, they all had learning intentions, all had some activities, rote is used but now it is wrapped around by meaningful knowledgeable understanding accompanied by relevant learning activities. In all schools and classes we saw this and it seemed to flow and be entrenched. I would love to have videoed our first visit in 2009 and compare it with last week! Even recording the conversations- from doubting teachers who did not know how to talk about teaching to now passionate discussions of pedagogy and a growing depth of understanding as to what educators are and do. Where to from here? 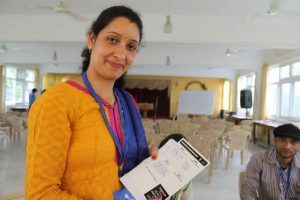 We have set up a team of 6 of the educational leaders in India. They named themselves IRT… because in India you have to have acronyms for everything. The India RATA Team. We issued them with a RATA shirt, who would have thought a shirt could be such a treasured gift! This team had 5 days of intense training with Nicola and Sashi who work as teacher trainers at the Waikato School of Education. This IRT team is going to run a one day workshop for the local schools, and after they have debriefed that, a 3 day workshop. They will form a cluster and visit each other’s schools and see how the others are implanting the learning they are doing. In short within a year or two they will lead the work we currently do and we have full confidence they will do it stunningly well. Zara did an amazing job sharing with the teachers today about learning difficulties and how they impact students in an Indian context. It was perfect and we are so thankful for her input. School visits to Kaplani School today by a few of the RATA team. So impressed with what we saw and how Ruchicka is leading her school. The work RATA does is effective but only because our colleagues in India apply all they have learnt. Humbling stuff and so proud of our Indian family. Great day in THDC school in Dehradun. Amazing learning intentions great activities,and many smiles. We are so proud of the staff there under Sanjev Singh leadership. RATA teachers also really encouraged to see all the years of work being effective. 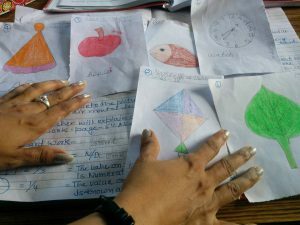 Amazing work by the Dehradun teachers. Planning is awesome and so good to see real understanding of what to teach, how to teach it and how to make it all happen. We are stoked! Our last school visit to Yirre Vocational Training centre in Delhi. What a humbling experience. So thrilled to encourage these amazing people who seek to change the lives of the very disadvantaged. 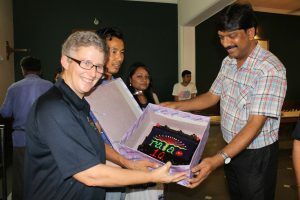 On a side note: We also quietly celebrated our RATA 10 year anniversary, complete with a cake made by the Indian team, with a perfect logo iced on top! 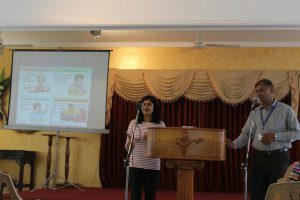 Previous PostPart 5: Equipping a future generationNext PostPrepping for India 2017!